Sun Yung Shin 신선영 is the author of the newly released prose collection Unbearable Splendor from Coffee House Press and essay anthology A Good Time for the Truth: Race in Minnesota from Minnesota Historical Society Press. Her poetry collections Rough, and Savage and Skirt Full of Black were also published by Coffee House Press. 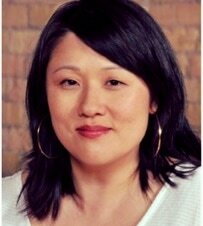 She co-edited the anthology Outsiders Within: Writing on Transracial Adoption and is the author of Cooper’s Lesson, a bilingual Korean/English illustrated book for children. Her awards include a McKnight Fellowship, a Bush Foundation Fellowship, and two Minnesota State Arts awards. She lives in Minneapolis.